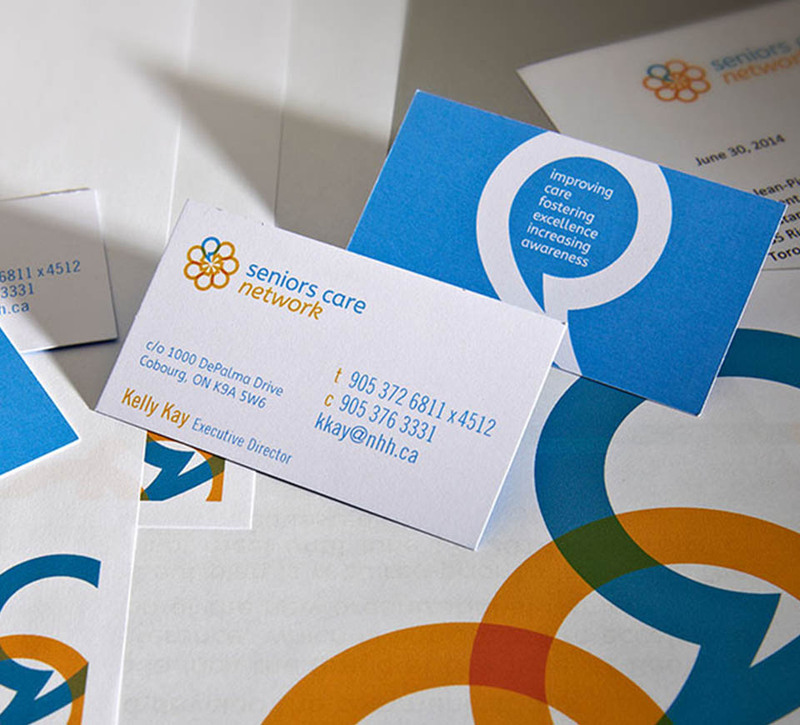 Shikatani Lacroix worked with Seniors Care Network (formerly RSGS) stakeholders to develop a new brand name, logo and identity for the organization. 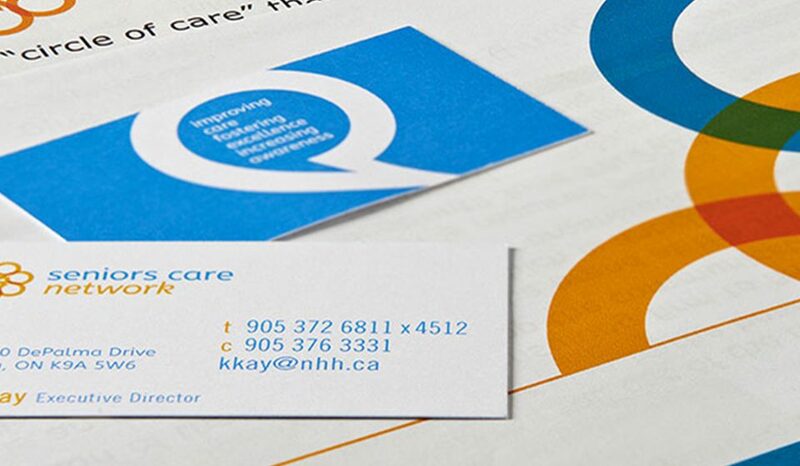 The new brand better informs the public about the role of the organization within the framework of the Ontario Health Care, and Central East LHIN (Local Health Integration Network). Shikatani Lacroix established a strong understanding of change within public and private organizations to help bring clarity to their offering, and a collaborative and inclusive approach that incorporates all stakeholders’ opinions. This approach drives the success of any program. Furthermore, Shikatani Lacroix developed onboarding tools that would result in strong engagement and provide organizational transparency. 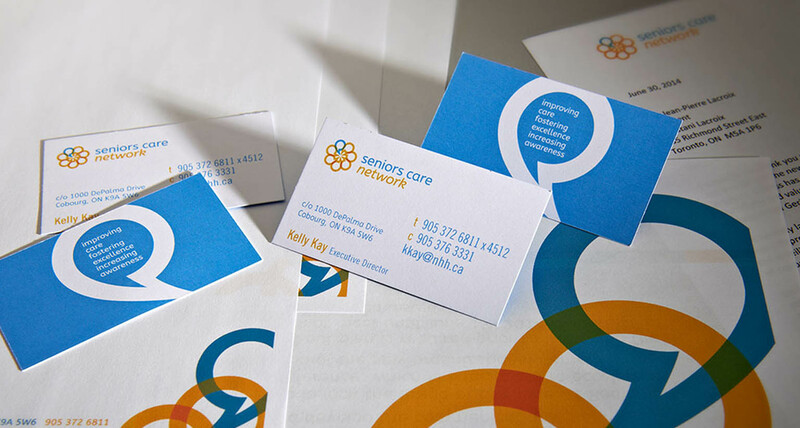 Shikatani Lacroix worked with RSGS stakeholders to develop a new brand name, logo and identity for the organization. 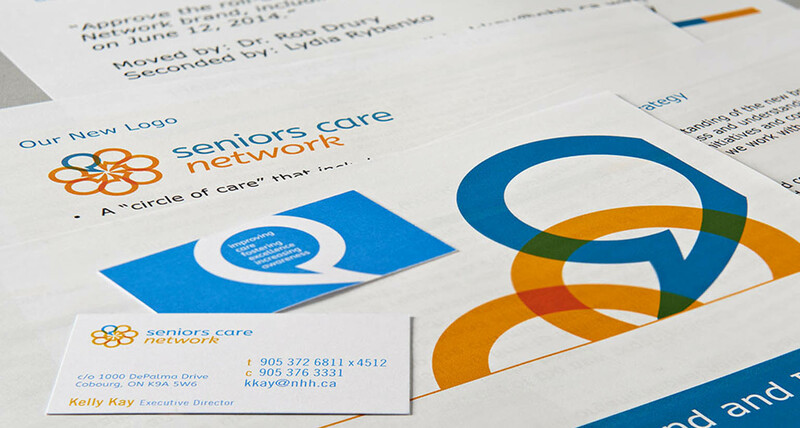 The new brand was bound to better inform the public about the role of the organization within the framework of the Ontario Health Care, and Central East LHIN (Local Health Integration Network). 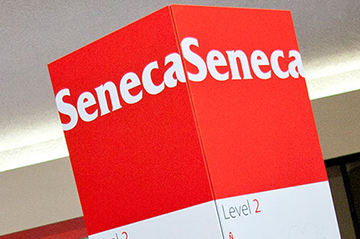 RSGS acts like a foundation, a think tank of thought leadership. 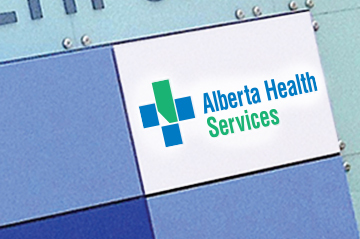 The organization serves to “fill in the cracks” of the healthcare system. In addition, it serves as an identifier of problems and gaps and an aggregator of information. Finally, RSGS is an academic authority that recommends policy and raises the profile of geriatrics and long-term care in Ontario. The stakeholders believed that the entity helps improve the healthcare system indirectly by acting as a link between market needs and healthcare capabilities. While there was some consensus among stakeholders regarding the function of RSGS – namely as a knowledge bank advisory committee that indirectly affects change – most believed the entity’s role should be to directly effect change and help elderly to better navigate the healthcare system. On the surface, the challenges facing RSGS involved clarity of messaging to key stakeholders. 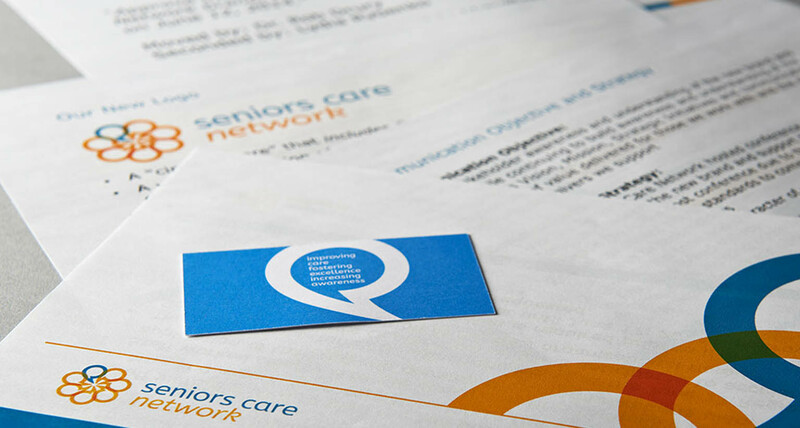 We worked closely with the organization and came to a conclusion that clear understanding of the RSGS’ role within the healthcare network represented the greatest hurdle. Once we established this core shortcoming, we had to overcome the following key challenges: role confusion, unclear responsibilities, lack of accountability, loose integration of services, authoritative capacity, target market confusion, a system working in silos, provider alignment, a lack of authority for implementation. The challenges facing RSGS involved clarity of messaging to key stakeholders. 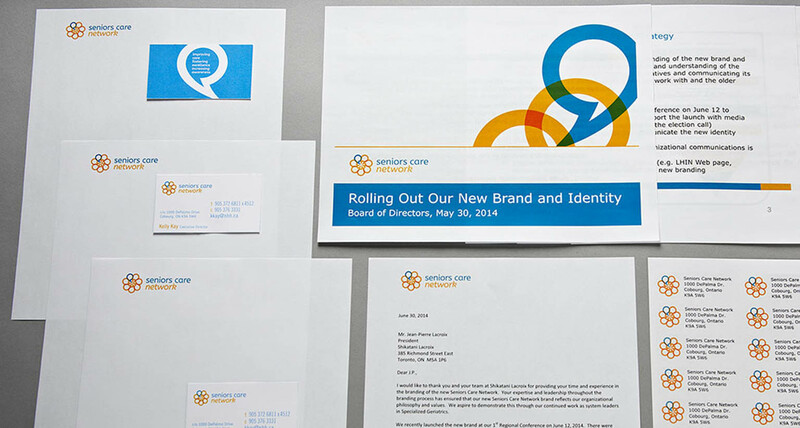 To establish a strong and coherent branding initiative, Shikatani Lacroix recommended the creation of a brand card that distinctly showcased the unique value proposition of the organization. 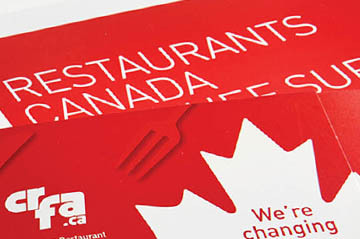 In this brand card, Shikatani Lacroix defined the organization’s vision, mission, value and brand pillars. 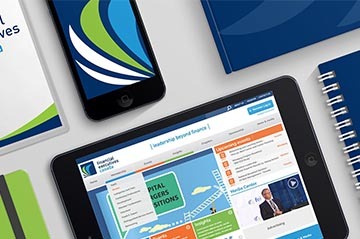 Leadership, expertise and consistence anchor these three major brand pillars. 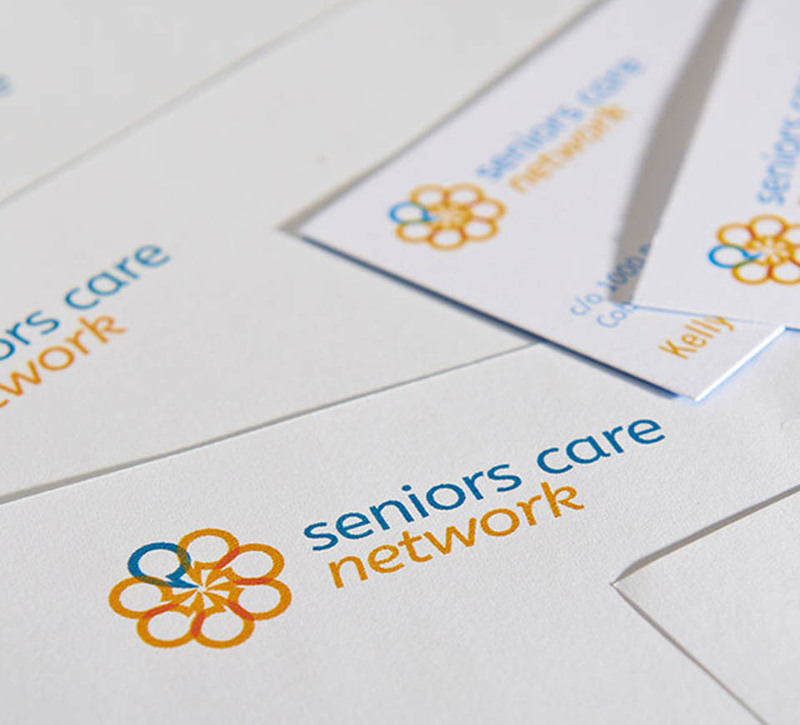 The brand’s value lies in connecting and improving the system for the care of frail older adults. 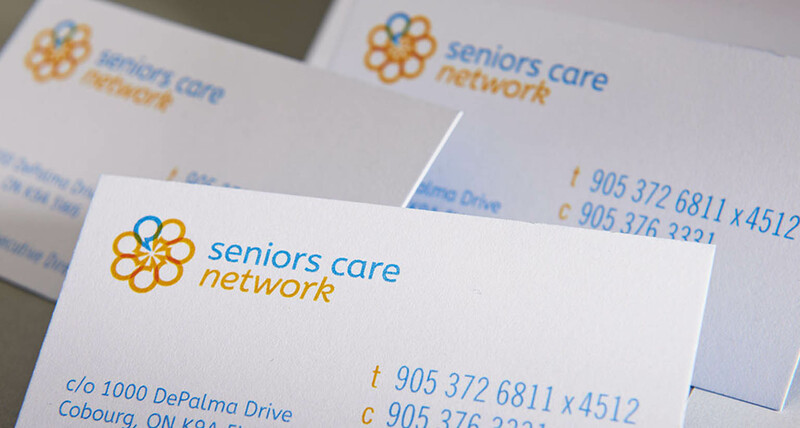 The brand’s mission is to create and maintain a high quality, integrated, person-centered network that ensures the best quality of life for frail older adults and their families. 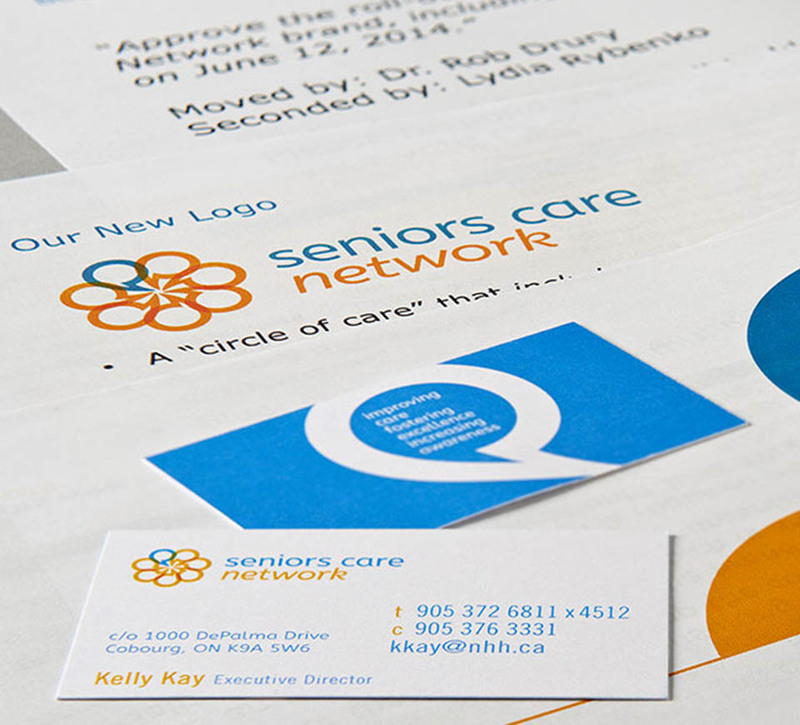 Finally, the brand’s vision is to provide the best healthcare experience for frail older adults in the Central East LHIN. Shikatani Lacroix had to develop a name derivative that was simple and easy to pronounce while reflecting the organization’s mandate and charter. 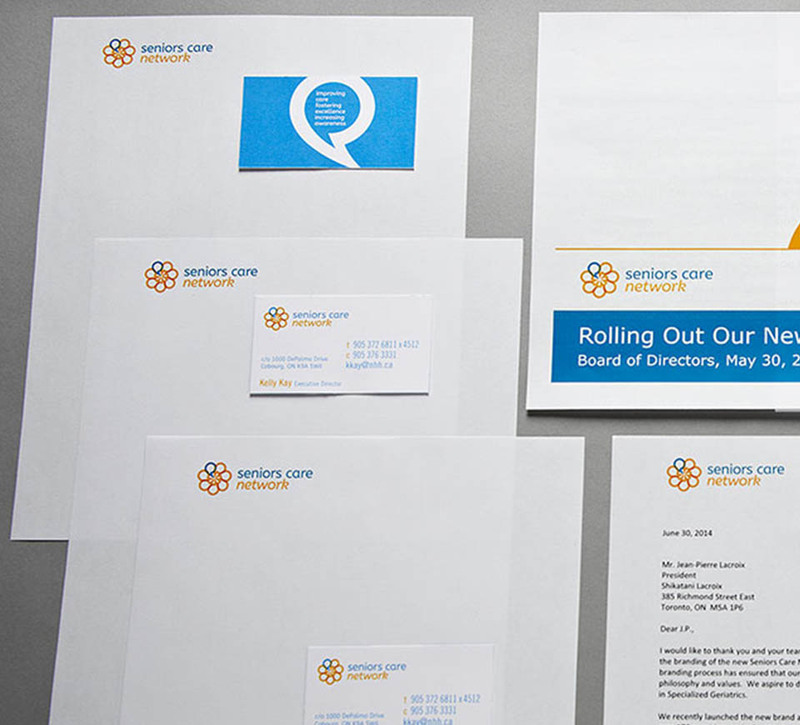 The name and identity had to reinforce a sense of security and confidence while simultaneously clarifying the organization’s services. Prior to creating a brand, RSGS needed to understand who was the aim and audience of the brand and its messaging. The primary target audience included service providers, and they would be targeted for the purpose of network onboarding and system improvement. The secondary target audience included caregivers and frail older adults. 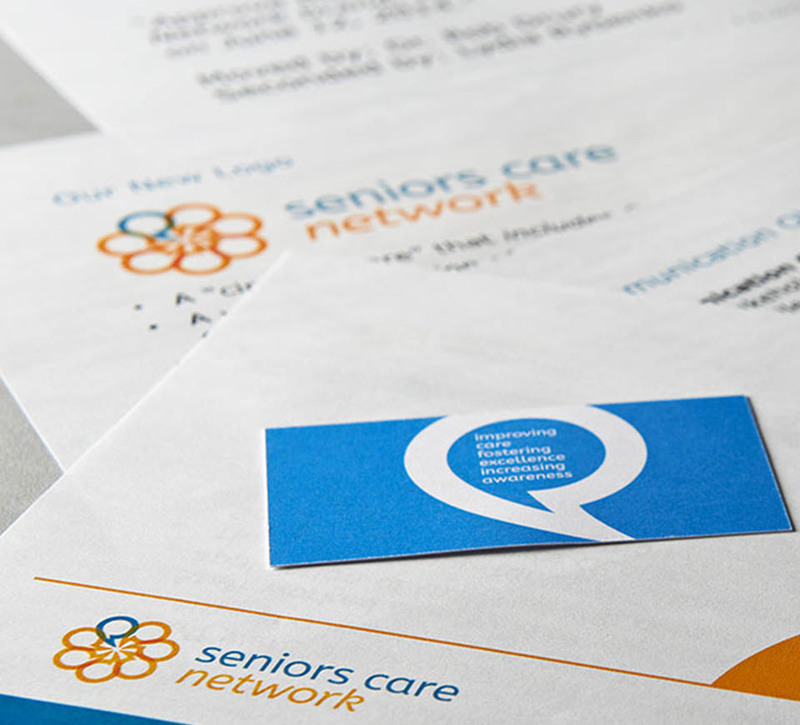 They would be targeted for the purpose of promoting the fact that RSGS exists as a navigator of the frail older adults care system. Once the brand card was created, Shikatani Lacroix moved forward with a clear understanding of what the rebranding process should entail. The new logo is defined by the colour blue, a colour associated with trust, loyalty, confidence, wisdom, intelligence, faith, truth and heaven, and orange, the colour of citrus, suggesting heat associated with joy, sunshine and healing. It better expresses the functional personality of being collaborative and knowledgeable through the use of connective circles, and having expertise and leadership. It was rated highly by older adults on emotional characteristics of being approachable, inclusive and empathetic. 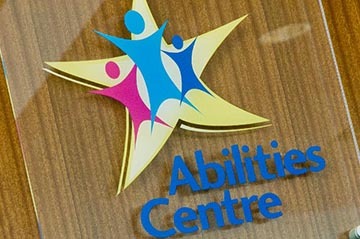 The name clearly indicates what the organization does, and whom its services focus on. 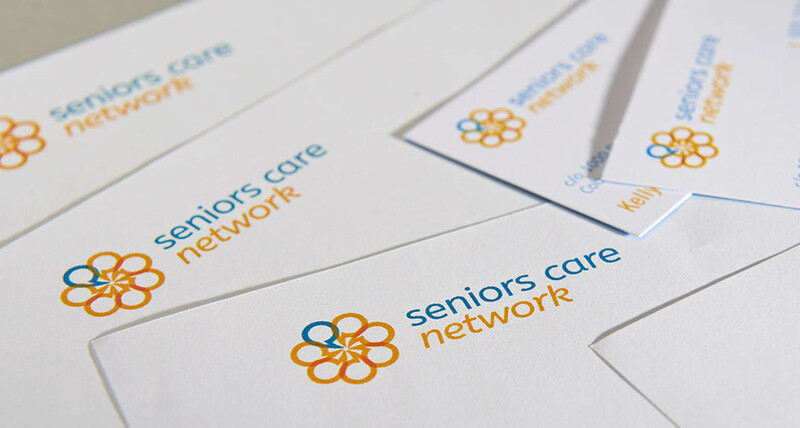 The word “care” is important as it can have a double meaning: the literal of “giving care” and the emotional of “caring for someone.” Finally, the word “network” signifies that this entity is comprised of a group of care organizations, representing a depth and breadth of expertise. The entity originally called RSGS has been very pleased with the rebranding initiative. The new name and logo better reflect the organization’s identity and services, and align with its mission, vision and goals. 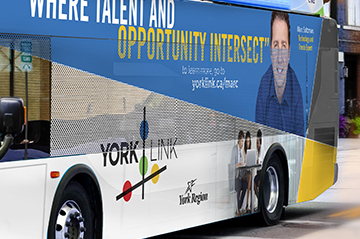 The new brand’s identity has facilitated a stronger sense of credibility and trust for the organization, and stakeholders are optimistic that this will precipitate future opportunities for growth. 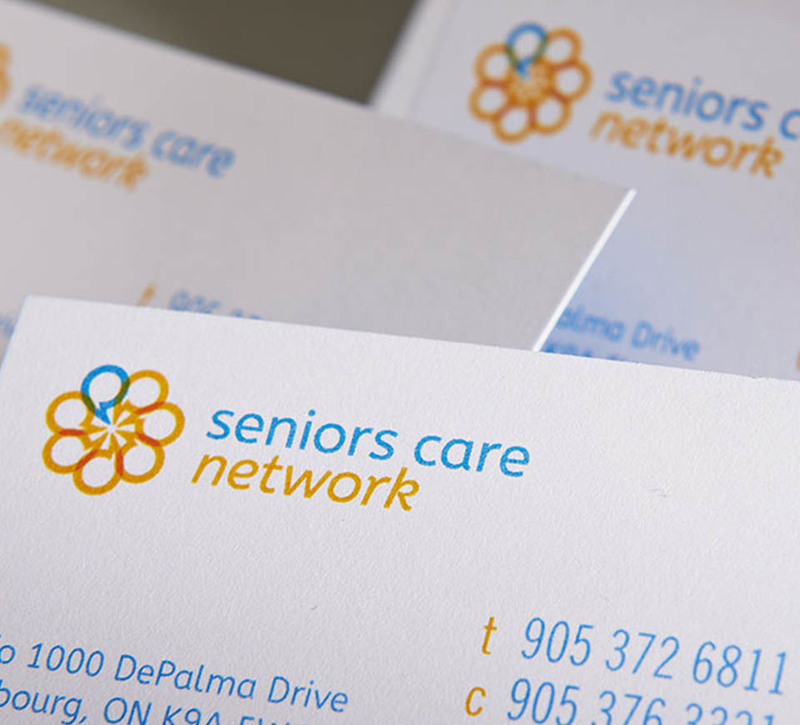 Shikatani Lacroix worked with Seniors Care Network (formerly RSGS) stakeholders to develop a new brand name, logo and identity for the organization.